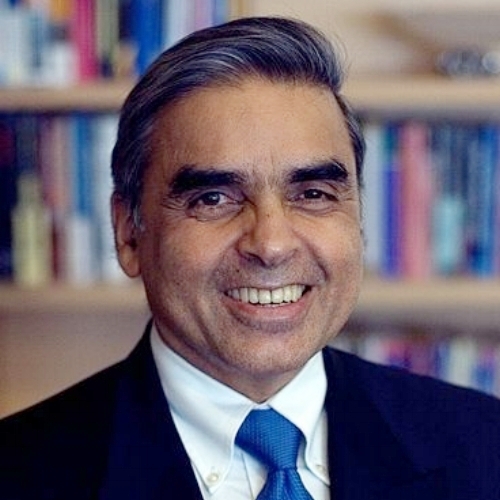 Book Kishore Mahbubani as a keynote speaker. A highly respected academic and diplomat, Professor Kishore Mahbubani began his decorated career in the Singaporean Ministry of Foreign Affairs and served in the Foreign Service for over thirty years. For more information on geopolitics speaker Kishore Mahbubani, contact VBQ Speakers founding agent Leo von Bülow-Quirk on leo@vbqspeakers.com or 0044 7833 727090. A highly respected academic, both domestically and abroad, Professor Kishore Mahbubani began his decorated career in the Singaporean Ministry of Foreign Affairs and served in the Foreign Service for over thirty years. He served postings in Malaysia, the USA, and Cambodia during their 1973-74 conflict. In 1993 he was made Permanent Secretary at the Foreign Ministry, and served in that post nor five years. Kishore was Singapore’s ambassador to the UN and has twice been President of the United Nations Security Council, first in January 2001, and again in May 2002. He is currently the Dean of the Lee Kuan Yew School of Public Policy at the University of Singapore, as well as a member of the board for the Yale President’s Council on International Activities, the University of Bocconi’s International Advisory Committee, and the Lee Kuan Yew World City Prize Nomination Committee. Kishore is an expert in Asian-US relations, and also writes prolifically about the rise of Asia in global economic and social matters. He has published several books, translated into multiple languages, including Beyond the Age of Innocence: Rebuilding Trust between America and the World (2015), The New Asian Hemisphere: The Irresistible Shift of Global Power to the East (2009), and most recently The Great Convergence: Asia, the West, and the Logic of One World (2013). The Great Convergence was described by the Financial Times as one of the best books of 2013. Kishore has been listed as one of the world’s top intellectuals by Prospect and Foreign Policy magazines, and was shortlisted in the Financial Times as one of the individuals most likely to shape contemporary debates on capitalism. His writings have appeared in Foreign Affairs, Foreign Policy, Time, Financial Times, New York Times, and many others, and he was once described as “the muse of the Asian century”. A world renowned writer, thinker, and diplomat, Professor Mahbubani’s talks will be of great interest to any company that deals with the Asian market, or that wishes to start doing so. Kishore’s talks will especially benefit companies and organisations that wish to capitalise on Asia’s growing importance to global financial markets.